It is unclear if Pompeo’s staff presented Aoun with this document as a threat prior to their meeting. 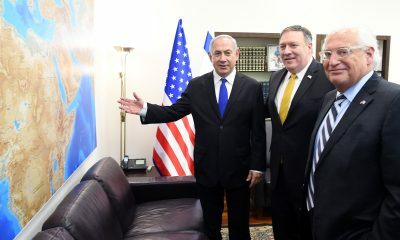 It is clear, however, that the US and Israel are plotting behind closed doors to create sectarian conflict in Lebanese society and its democratic political process, similar to actions in Syria, Lybia, Yemen, Venezuela, Iran, and so on. Featured image: SecStae Mike Pompeo visit to Israel, April 2018, US Embassy Jerusalem.